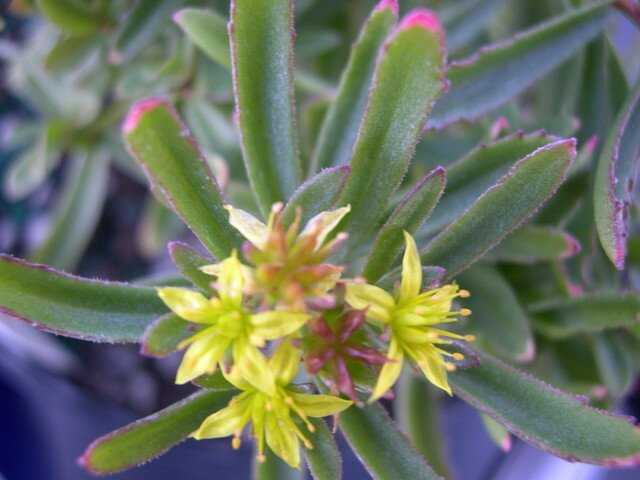 This is a tiny form of Sedum middendorfianum with golden-yellow flower clusters that have bright orange anthers. Leaves are narrow, dull green with brown-purple on the edges. Hardy.